Why Get Your Engineering Programme Accredited? In many countries engineering degree programmes can be submitted for accreditation by a professional body and/or graduate engineers can be certified or registered. Where this is available most academic institutions feel that they must offer accredited engineering programmes. The author suggests that these processes are at best ineffective (they do not achieve their aims) and at worst they are destructive of creativity, innovation and confidence in the academic community. The author argues that such processes (including any internal certification within the Conceive-Design-Implement-Operate, i.e., CDIO Initiative) should be abandoned completely. 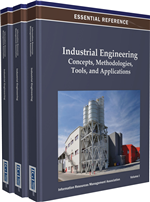 The author proposes alternative ways of maintaining the quality of engineering design and manufacture, which place the responsibility where it properly lies – with the manufacturer or contractor. This is a polemic piece, not a referenced review of accreditation. Did the accreditation of professional engineering programmes prevent the disastrous crash of the Airbus 330, flight AF 447, in June 2009? Equally, is it responsible for the fact that the Eiffel tower has remained standing for 120 years? Or that my iPhone is so brilliant? No, no and no. So what is accreditation supposed to be for? At the highest level I presume that the intention is to ensure and enhance the quality and safety of engineered products throughout the world. At a more mundane (and self-interested) national level it might be intended to enable the world-wide transferability, and thus profitability, of a nation’s engineering industry by ensuring the international credibility and employability of its engineers. These seem to be laudable objectives, but delivery of them is several steps away from the accreditation of university programmes. The logic is presumably that the employers of professional engineers must have confidence, via external testimony, in their skills and their fitness to practice. This confidence is engendered by their status as professional (chartered in UK parlance, registered in other jurisdictions) engineers, part of the qualification for which is that, at some time in the past, they graduated from an accredited degree programme. These engineers also have to demonstrate some appropriate experience in employment and the membership of a professional body. I find the whole system of accreditation unsatisfactory in two ways: It does not deliver the intended outcome (and so is ineffectual) and, additionally, it can damage our education system and thus our students and graduates. First, the charge that it is ineffectual: Engineered products are conceived, designed, made and operated (CDIO-ed) by engineers employed by large or small companies. Some, but certainly not all, of these engineers may be chartered. They will usually have earned their chartered status by virtue of the work undertaken in their first few years of employment, backed up by the degree they were awarded several years ago. Since receiving their chartered status they will have been encouraged to undertake continuous professional development, but this will not have been checked. A fifty-year-old chartered engineer is thus operating on the basis of a validation process twenty years ago and a degree awarded about 25 to 30 years ago. The accreditation of this degree, so long ago, has almost no relevance for the engineering practices in use today. Indeed if the degree was typical of those awarded 25 years ago it will have contained a significant amount of engineering science and very few tests of engineering aptitude or attitude (which is of course why we have the CDIO movement). The fitness to practice of an individual engineer will in reality depend on what they have done, seen and learned during their working life, which is almost independent of the content of their first degree. Indeed the technical content of a degree in one engineering discipline may have almost no overlap with the content of another engineering discipline so it is hard to argue that subject content has anything to do with being, or thinking like, an engineer.